Daytime television is, like it does every year, marking the holiday season with on-set decorations — though the actual looks vary greatly in both scope and cohesiveness. Syndicated talker “Ellen” used a combination of traditional decor, set pieces and on-set graphics to create a unique spin on the holiday season centered around snowy flat-style illustrations. The most prominent example of this is the graphic used on the video wall behind home base — which typically displays a stylized image of Los Angeles palm trees. This holiday season, however, an illustrated cityscape with mounts and snowy hills is used. Though not “flat” in the truest sense of the term, the illustration’s simple style draws inspiration from that school. The set also includes large cutouts of snowdrifts, snowy trees, polar bears, mountains and snowflakes done in a simliar style along with the more traditional Christmas trees and holiday plants. Other elements included glowing globes, white drapery and winter themed accessories. The on-set D.J. booth also got the holiday treatment with additional greenery and ornaments as did the audience area. 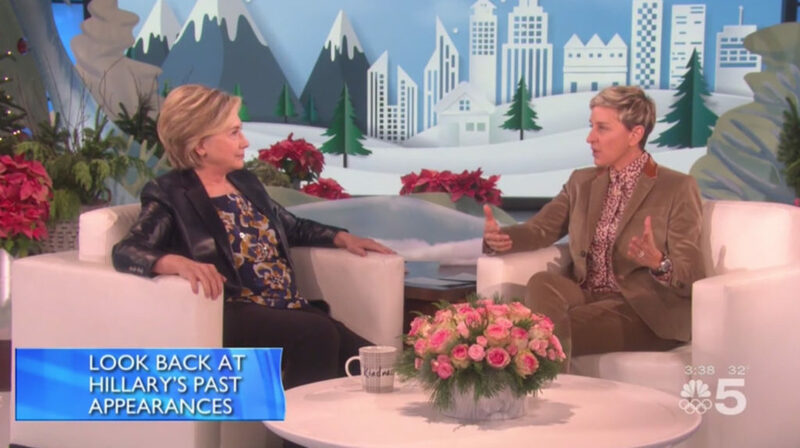 It’s also worth noting that Ellen’s decor included, during the eight days of Hanukkah, a Menorah — with the appropriate number of candles lit — off to the far right of the studio. 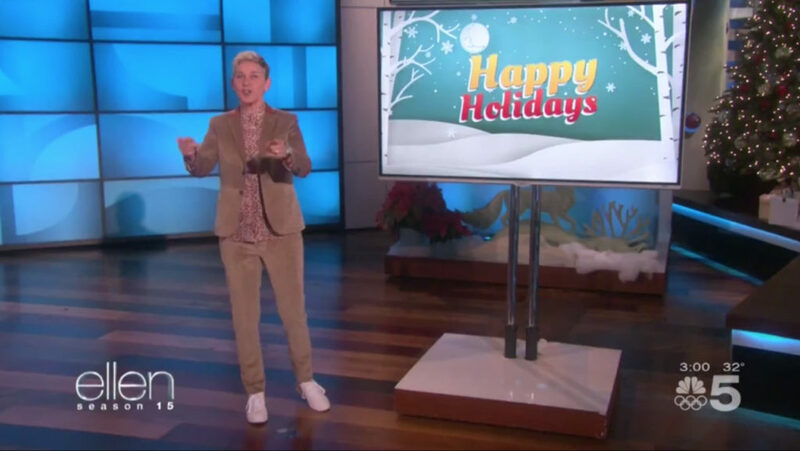 A holiday themed graphic also appears on the freestanding video monitor near host Ellen DeGeneres‘ monologue area — also done in a style that matches the look of the set’s main background. 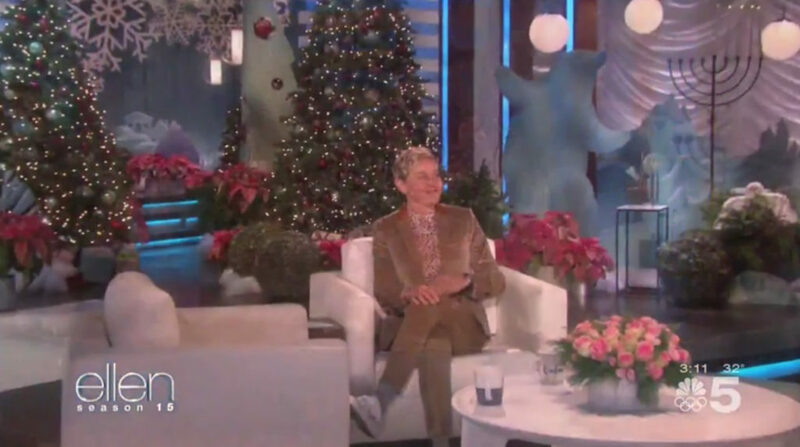 Overall, the “Ellen” holiday decorations demonstrate well thought out design while also offering up a bit of a different look that viewers are used to seeing, while also being a bit playful.